Can you spare 1 hour on a weekday to entertain our residents? 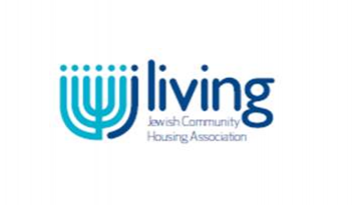 jLiving is one of the largest housing associations in the UK working primarily with the Jewish community. We provide affordable, secure, welcoming accommodation for those aspiring to live independently. All our self-contained flats are in purpose-built blocks with double glazing and lifts to all floors as well as communal lounges where social activities take place. Living within sheltered accommodation offers peace of mind and the knowledge that there is someone there to call on in an emergency. Established in 1966, jLiving offers its’ tenants the ability to live an independent life within a community environment. Location: London including Finchley, Willesden, Colindale, Golders Green and Hemel Hempstead. Our tenants would love to be entertained! Approx. 1 – 1.5 hours of entertainment for our tenants in the communal lounge, many of whom are elderly, frail or vulnerable. We are looking for a small group of individuals (or an individual) to run the event between 10am – 4pm weekdays only – exact hours to suit yourselves. We have a Housing Manager on-site between 8.30am and 4pm, who will be able to let you in, introduce you and will provide and help with refreshments. musical entertainment – e.g. a school or community choir / band etc. But we are open to other ideas.